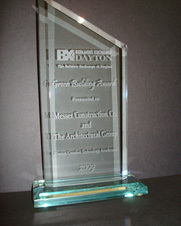 *The first LEED Gold Certified building in the City of Dayton! The CTA building is a technology based office building, the first of many planned for the former automotive plant brownfield redevelopment site called Tech Town on the east side of downtown Dayton, Ohio. 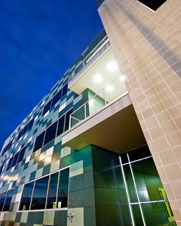 The CTA building has been designed to include many energy efficient strategies. Included among these is a highly efficient building energy system and envelope design that officially received 7 of 8 possible LEED Credit points for optimizing energy performance. This is equivalent to an annual energy cost savings of over 32% when compared to a conventionally designed building. Additionally, the use of low VOC and regionally based building materials and water conserving landscaping are among many other environmentally positive features of the building.